Imagine: an employee is injured in a car accident with another driver who is at fault. The employee settles with the at-fault driver for the limits of her liability policy. The employee, whose injuries exceed the at-fault driver’s liability limits, then seeks to recover under her employer’s underinsured motorist (“UIM”) policy. The UIM carrier and the employee’s attorney negotiate a settlement. Then somebody mentions the fact that the employer is in the middle of a bankruptcy and the question arises regarding whether the automatic stay applies to the claim against the UIM policy. What happens then? While the automatic stay is one of the most recognized aspects of the American bankruptcy system, the reach of the stay is not so well-known. The legislative history behind the Bankruptcy Act discusses the purpose of the stay: “The automatic stay is one of the fundamental debtor protections provided by the bankruptcy laws. It gives the debtor a breathing spell from its creditors. It stops all collection efforts, all harassment, and all foreclosure actions. It permits the debtor to attempt a repayment or reorganization plan, or simply to be relieved of the financial pressures that drove him into bankruptcy.” Rep. 95-989, 95th Cong., 2d Sess. 54–55 (1978). It is generally recognized that when a defendant in a lawsuit files bankruptcy, an automatic stay goes into effect that stays the lawsuit and that collection efforts directly against a debtor should cease. However, less well-known is that there are a total of eight categories of conduct listed in 11 U.S.C. 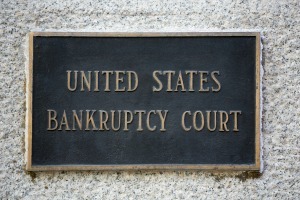 § 362(a) that are stayed when a person files bankruptcy. Among these eight categories of conduct stayed is “any act to obtain possession of property of the estate or of property from the estate or to exercise control over property of the estate.” 11 U.S.C. § 362(a)(3). The phrase “property of the estate” refers to the estate that is created upon a person’s filing for bankruptcy and encompasses, with certain exceptions, “all legal or equitable interests of the debtor in property as of the commencement of the case.” 11 U.S.C. § 541(a). Insurance contracts are “embraced in this statutory definition of ‘property.’” A.H. Robins Co. v. Piccinin, 788 F.2d 994, 1001 (4th Cir. 1986). Consequently, a UIM policy held by a debtor under the circumstances described above would be property of the estate and subject to the stay. However, the analysis does not end here because while generally a debtor’s liability policy is property of the estate, “courts are in disagreement over whether the proceeds of a liability insurance policy are property of the estate.” In re Allied Digital Technologies, Corp., 306 B.R. 505, 509 (Bankr. D. Del. 2004). The issue frequently arises with directors and officers liability policies. As one court has noted, “when a debtor’s liability insurance policy only provides direct coverage to the debtor, courts generally hold that the proceeds are property of the estate. Conversely, when the liability insurance policy only provides direct coverage to the directors and officers, courts generally hold that the proceeds are not property of the estate. 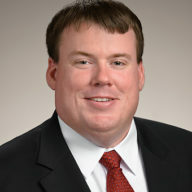 When the liability insurance policy provides direct coverage to both the debtor and the directors and officers, the proceeds will be property of the estate if depletion of the proceeds would have an adverse effect on the estate to the extent the policy actually protects the estate’s other assets from diminution.” In re Downey Fin. Corp., 428 B.R. 595, 603 (Bankr. D. Del. 2010); see also In re Beach First Nat’l Bancshares, Inc., 451 B.R. 406 (Bankr. D.S.C. 2011). This same analysis often used with directors and officers liability policies could also be applied to UIM policies. Under the circumstances described at the outset of this blog, the debtor employer most likely would not have any interest in bodily injury UIM coverage because an artificial business entity has no body and thus cannot incur bodily injury. UIM property damage coverage could present a closer question. In the end, when it is unclear whether the automatic stay applies, it is often best to seek relief from the stay because the consequences of guessing wrong can be severe. Not only does 11 U.S.C. § 362(k) provide for a private cause of action through which an individual injured by a willful stay violation can recover damages, some courts hold that acts in violation of the stay are void ab nitio and of no legal effect while other courts hold they are voidable. See Winters ex rel. McMahon v. George Mason Bank, 94 F.3d 130, 136 (4th Cir. 1996); In re Weatherford, 413 B.R. 273, 283 (Bankr. D.S.C. 2009).